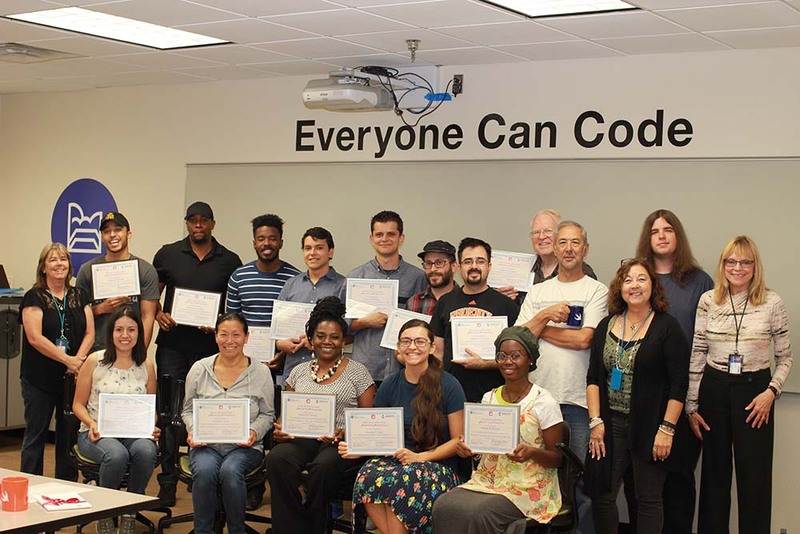 Everyone Can Code and So Can You! Learn to Build Apps for iPhones and iPads taking only 3 Courses. 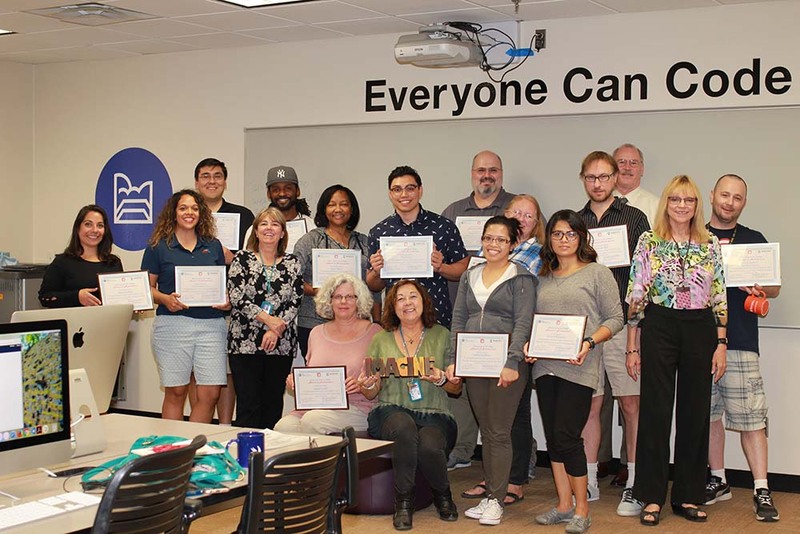 Did you know there are 10,000+ jobs open for programmers in Maricopa County? Get a head start by earning a certificate in Apple Coding and begin to pursue your career in the fast-growing app economy. App Development with Swift is a full-year course designed by Apple engineers and educators to teach students elements of app design using Swift, one of the world’s most popular programming languages. What will I learn with the Apple app classes? Students will learn to code and design fully functional apps, gaining critical job skills in software development and information technology. Students will learn to build apps for iPhones and iPads taking only three courses. 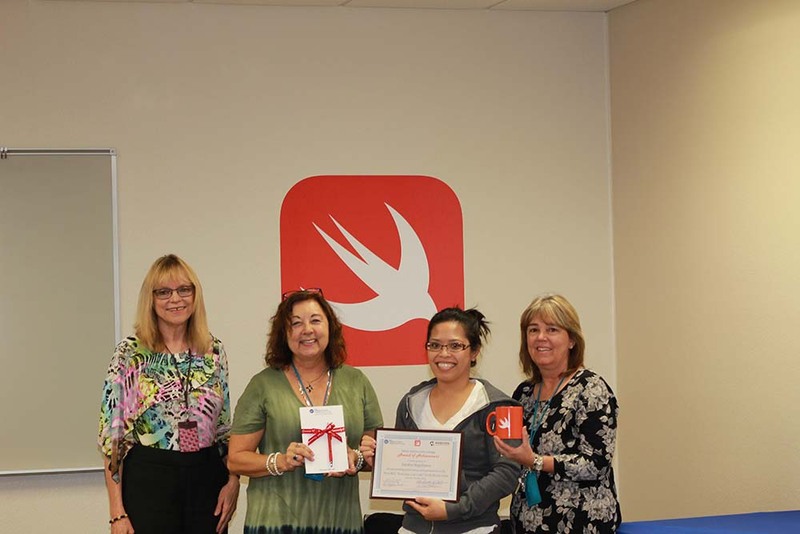 The CIS150AB Object-Oriented Programming – Apple Swift/xCode classes include an introduction to Apple app development using Swift/xCode and is taught within an IOS classroom environment. The hybrid classes combine regularly scheduled classroom meetings with online learning activities. The hybrid class instructor provides book information the first day of class. All textbook and course materials are available at no or low cost (<$40) - and may include Open Educational Resources (OER). The Internet only sections are taught exclusively online. Structured and Object-Oriented design and logic tools. Use of computer problems to demonstrate and teach concepts using an appropriate programming language. Prerequisites: A grade of C or better in CIS105 or permission of Instructor. Class 30332 This class uses Java programming language. Class 33036 will include an introduction to App Development using Swift/xCode and will be taught within an IOS classroom environment. Instructor will provide book information the first day of class. Class 30475 This class uses Java programming language. Class 33037 will include an introduction to App Development using Swift/xCode and will be taught within an IOS classroom environment. Instructor will provide book information the first day of class. Notes: Class 16971 Online classes are conducted exclusively via the Internet. 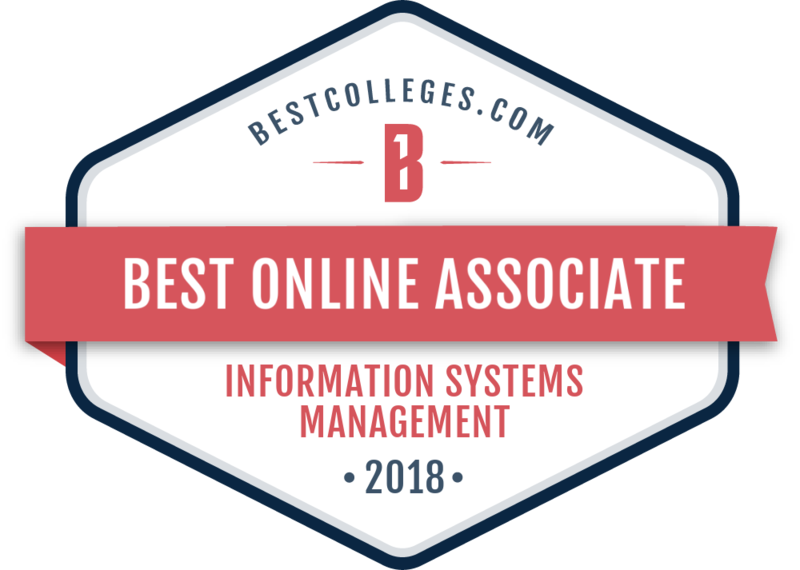 Before enrolling in their first online class at MCC, students need to view the online orientation and complete the readiness survey on www.mesacc.edu/elearning/get-started for additional information. Students may contact instructor at: angeline.surber@mesacc.edu. Class 16971 This class uses Java programming language. Requires an additional 50-minute lab per week. Class 24328 This class uses Java programming language. Notes: Class 27005 Online classes are conducted exclusively via the Internet. Before enrolling in their first online class at MCC, students need to view the online orientation and complete the readiness survey on www.mesacc.edu/elearning/get-started for additional information. 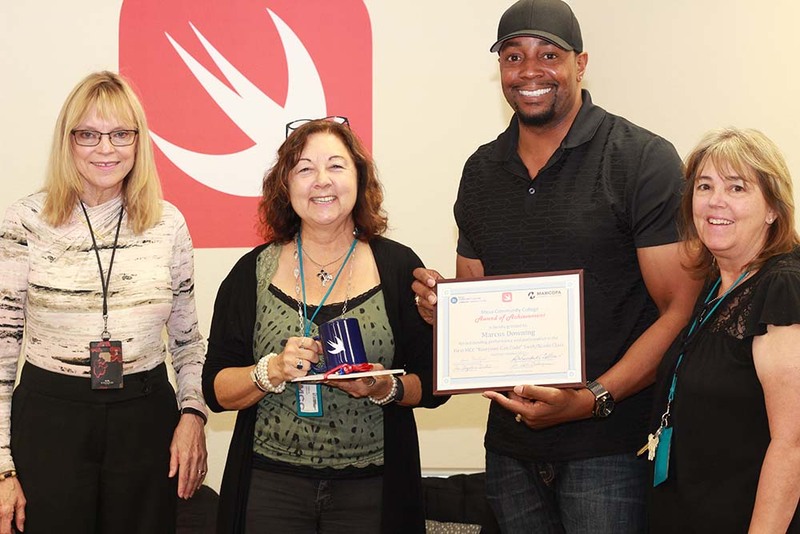 Students may contact instructor at: david.levy@mesacc.edu Class 27005 will include an introduction to App Development using Swift/xCode and will be taught within an IOS classroom environment. Class 27005 Instructor will provide book information the first day of class. Notes: Hybrid classes combine reduced, regularly scheduled classroom meetings with required learning activities conducted via the Internet. Students enrolling in a hybrid class acknowledge they already possess the skills described in the Minimum Computer and Technology Requirements at www.mesacc.edu/elearning/get-started. Students may contact instructor at: michael.bogner@mesacc.edu and michelle.traveler@mesacc.edu. This class will include an introduction to App Development using Swift/xCode and will be taught within an IOS classroom environment. Class 27391 Instructor will provide book information the first day of class. Notes: Class 35693 CIS150AB Section 35693 is the first of three classes in a iOS App Development Cohort which includes CIS165 35695 (second eight weeks) and CIS265 (same day/time/location to be scheduled for Fall 2019). However, enrollment is not restricted to the cohort. Students may contact angeline.surber@mesacc.edu or deb.lavergne@mesacc.edu for more information. Class 35693 will include an introduction to App Development using Swift/xCode and will be taught within an IOS classroom environment. Instructor will provide book information the first day of class. 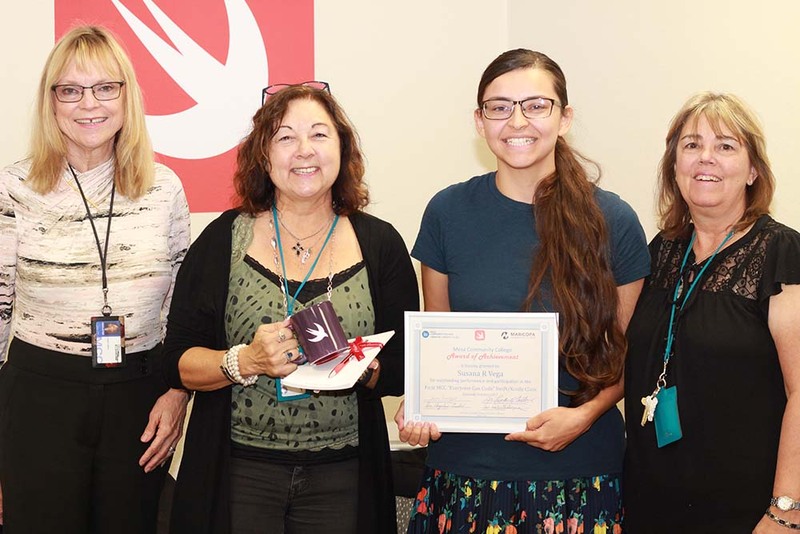 Mesa Community College, in partnership with Apple, is one of only six colleges in the United States selected to offer this exciting opportunity. | Download the flyer.